How does this IPA stack up with the other brews in this year's Daisy Chain? On a clear day, Brazos Valley Brewing's The Road Goes On Forever wouldn't be a bad choice. The Daisy Chain might be the best thing about Houston brewing culture right now. The story: In the wake of Hurricane Harvey, Southern Star brewmaster Sam Wright came up with a way to bring the city's brewing scene together. He started by pitching a strain of yeast, then passing it onto another brewery, which re-pitched it, then passed it on as well. And so on, and so forth. The idea is that every brewery participating in Daisy Chain brews a unique beer that has the same local roots. It started in 2018 and came back this year, with many of the beers released in February and March. Because the breweries use the same yeast strain, the experiment offers drinkers a chance to compare the level of creativity each brewery puts into its concoction. 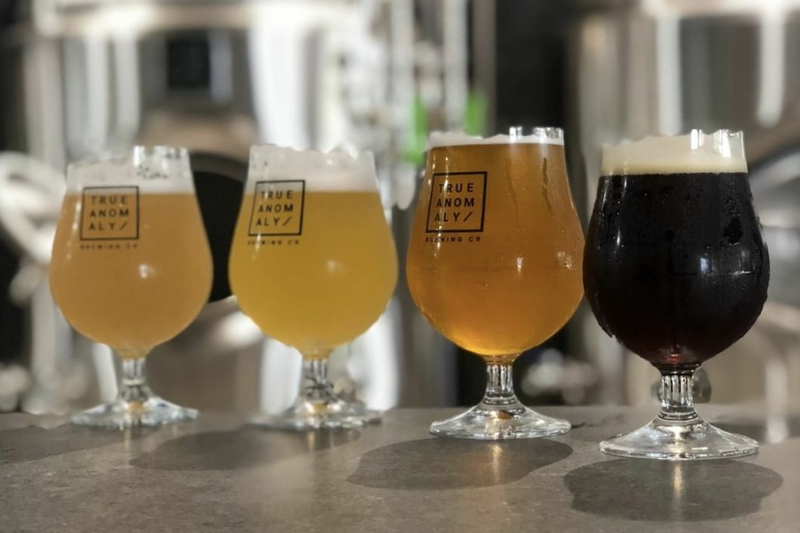 And while some places went against the mainstream (for example, Holler made a brown ale this year, while Fetching Lab in Texas City chose a peach cream ale), we generally saw a glut of IPAs, since the yeast lent itself to be used with copious hops. 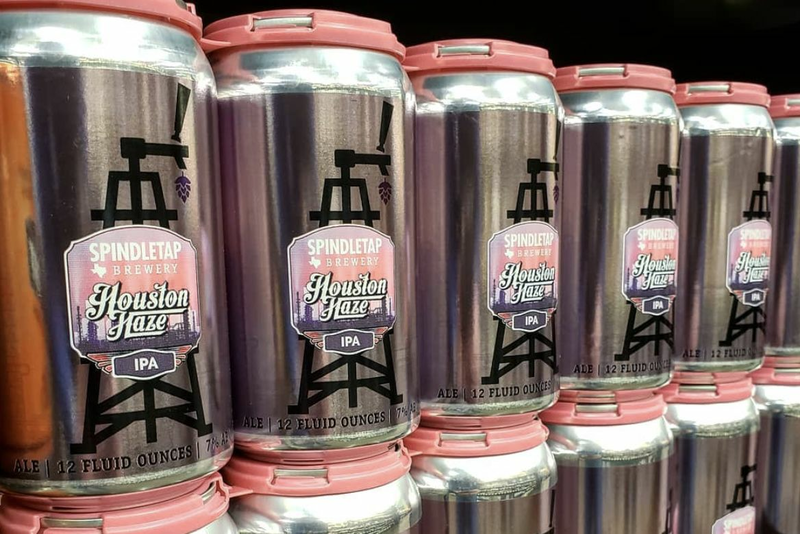 Spindletap leaned on its juice-making habits for a good one, but otherwise I'd yet to taste anything that either surprised me or bowled me over. 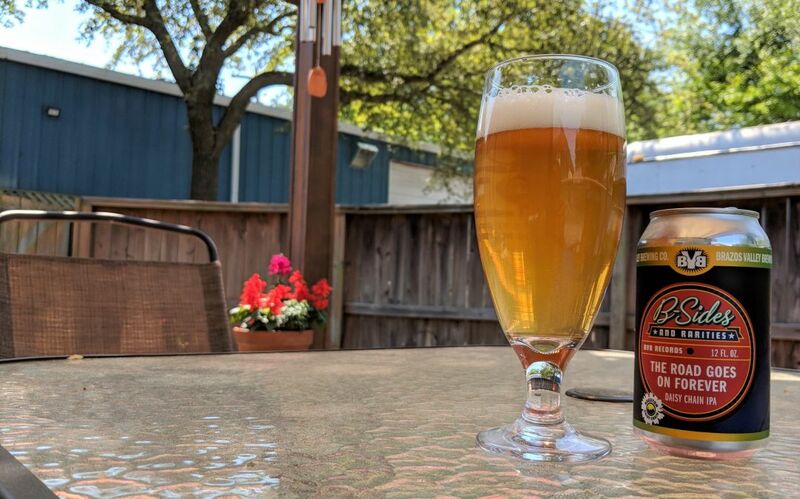 Which brings me to Brazos Valley Brewing's The Road Goes on Forever, a beer that epitomized what I've tasted so far out of the Daisy Chain beers: It left me wanting a little more. The Road Goes on Forever promises fruity notes (orange, grapefruit, melon), and on the nose I certainly got that, with grapefruit overpowering. It poured a cloudier golden tint, so I couldn't mistake this for a New England IPA. This is a basic IPA at 6.8 percent ABV with fruity notes. Brazos Valley uses Amarillo and Comet hops in The Road Goes on Forever; the former is great for bringing out the grapefruit and citrus scent, while the latter is used for bittering. I'm not sure how much Comet was used, but I wanted a far more bitter experience. It was all fruit up front and little body. The fruit lingered beyond the initial taste with no dryness. While I haven't tried all the Daisy Chain beers yet, my impression so far is that a few breweries missed an opportunity to really go nuts. Daisy Chain is an awesome project; here's hoping it spurs some crazy creative juices in the future. Explanation of ratings: 9.5-10: as good as the best beer in America; 9-9.4: the best beer in Houston; 8-8.9: among the better beers in Houston; 7-7.9: really good beer; 6-6.9: try this beer at least once; 5-5.9: if you’re stuck, this won’t hurt; 3-4.9: among the lowest-quality beers in Houston; 0-2.9: as bad as the worst beer in America.